Portimao is the second largest city in the Algarve after Faro, and the largest in Western Algarve. Traditionally, Portimao was an important fishing and trading city, and is now a favourite for tourists visiting the Algarve. Each August, Portimão celebrates its Sardine Festival, which the locals are immensely proud of, and consider it to be very important! The city has many interesting buildings displaying beautiful traditional Portuguese architecture, dating back to the late 19th Century. The mixture of these buildings and the recently-built high-rise apartments in various shades of pastel colours, make the city a very interesting one indeed. Like Faro, Portimao is a little set-apart from typical resorts and has more of a busy, modern-day city vibe about it. For beach-lovers, there is the nearby resort of Praia da Rocha, which is in walking distance of Portimao City Centre. Praia da Rocha has a vast number of hotels and private accommodation especially for tourists, all of which are lovely. Not forgetting its stunning beach and incredible views that keep thousands of eager sun-lovers returning on a yearly basis. Portimao boasts an incredible shopping complex. 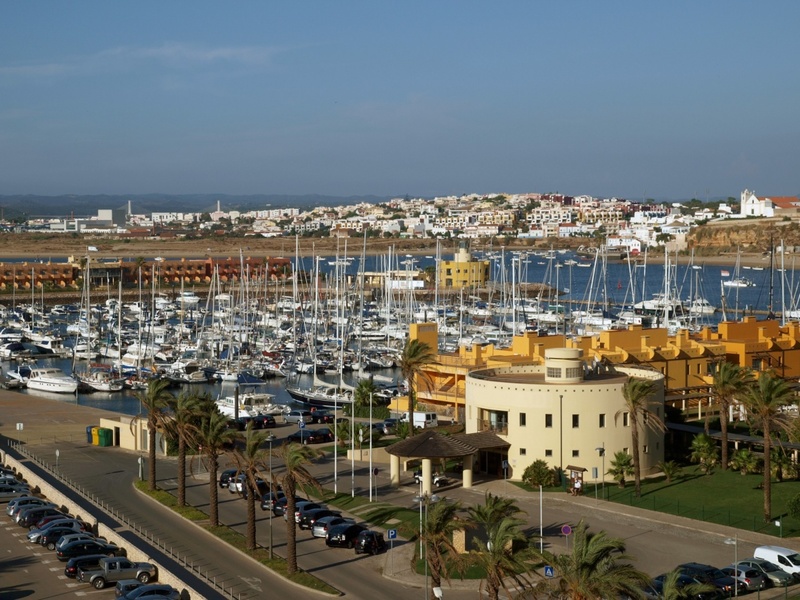 ‘Aqua Portimão’, is one of the best in the region and regularly attracts visitors from all over. Boasting the only ‘Primark’ in the Algarve, it’s easy to spot why! Opening hours are very flexible, and the shops close their doors as late as 11pm or midnight. Aqua Portimao is extremely easy to find, too – it’s located on the right-hand-side of the road as you make your arrival into the city. It is important to take into consideration that Portimao is famous for its fish restaurants, all of which are very fresh! Try the iconic Titanic Restaurant in the heart of the nearby resort of Praia da Rocha, where diners can enjoy mouthwatering smoked salmon and prawns in a special, homemade garlic sauce. Another fantastic place to catch a bite to eat is NoSoloAgua, a unique gem located on the idyllic Portimão Marina, at NoSolo Beach. NoSoloAgua is unlike any other restaurant in the Algarve; diners can get the impression of being on a tropical island beach as they eat, enjoying breathtaking views of the beach itself and its ivory Queen beds & comfy couches in all their glory. It’s safe to say that the best restaurants in Portimao are in their nearby resorts of Praia de Rocha and Alvor, however this is not to say that the city centre itself does not have great quality restaurants serving tasty, traditional Portuguese cuisine. The nightlife in Portimao, like everywhere else in the Algarve, is unforgettable. The Marina is where it’s at, offering a selection of modern bars and nightclubs in beautiful surroundings. The Aqua Lounge Restaurant & Bar, situated along the picturesque Marina, regularly provides fantastic nights of live music and performances by well-known guest DJ’s. Although Portimao is a lively, bustling city, a lot of the summer nightlife actually takes place in the nearby tourist resorts of Praia da Rocha and Alvor. Located right above the rocks on Praia da Rocha, suitably-named ‘On The Rocks Bar’ provides customers with friendly, attentive staff, mouthwatering cocktails, stunning sunset views and an all-round enjoyable night that lasts well into the early hours. A similar bar nearby is ‘Absolutely Lounge Bar’, a modern cocktail bar with low-sofa seating and a chilled-out ambiance – perfect for those who wish to get dressed up to the nines and sample a quirky mixture of cocktails. Portimao offers visitors a fresh, quirky insight into the Portuguese way of life, as well as beautiful beaches and fun-filled, low-priced nights out in the nearby resort of Praia da Rocha. However you choose to spend your time in Portimao , your holiday in the Algarve will be well worthwhile. Find information about selected Hotels, apartments and rooms in Portimao to choose the perfect place for your accommodation.